Here at Footy Boots, we like to do something a little different every once in a while. 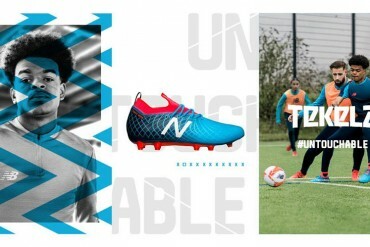 We know that you love the football boot reveals, new colourways and all that lovely stuff. 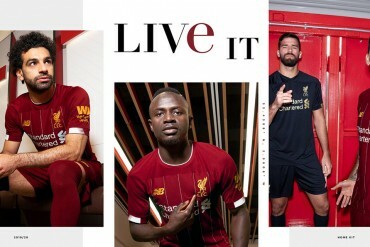 But we’ve been chatting to some very interesting people in the world of football boots recently – from people who run the companies that produce the football’ boots you love, to young designers, to people who just design football boots for fun! So, we’ve brought them together for a special series of interviews so we can learn about some of the things that make the industry tick, and even if you’re not interested in the business side of things, we reckon you’ll find a few bits of boot trivia that you simply won’t find anywhere else! First up is Concave Sports’ founder Jim Grimes. First of all tell us who you are and your role? My name is Jim Grimes and I’m the CEO of Concave Sports. 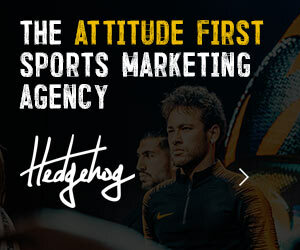 Do you have much of a background in sports? Well it’s funny really – I didn’t ‘grow up’ in sports. I actually was part of the Silicon Valley ‘Gold Rush’ in the technology industry. Being on the other side of the Atlantic – how did you develop an interest in Soccer? I’ve loved soccer since I was about 4, and was lucky enough to have the opportunity to play semi professionally in Canada. 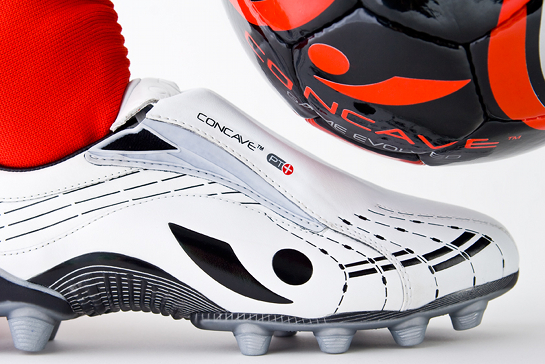 So how did you end up as CEO of Concave? Well someone we knew as a company – was a big AFL fan, and he was watching a game and kept seeing his team mis-strike the ball over and over again. After watching it a few times, he realised that the shape of the foot was the ‘wrong’ shape for kicking a ball – as it’s convex, the chances of hitting the ball at it’s apex with the apex of the foot for the best contact were slim. So, he cut a section out of a motorcycle tyre, and sliced it into strips. Then he hand-stitched a section to the front of an old pair of football boots. What were the benefits of these home-made prototypes? Well our guy – he didn’t know what to expect, he just knew that it would give better contact with the ball. But these pro’s were hitting it and feeling improvements in the feel of the shot, the accuracy and especially the power – the speed at which these balls were hitting the net! Unfortunately as we’ve experienced more and more with a consumer product, it takes too much money, time and development. So the idea was just shelved? Yeah, it floated around for a while, not really doing anything – and it was about this time it landed on my desk. So these odd-looking boots turned up, and it just so happened I had training that night! I didn’t tell anyone on the team what I was gonna do, and just showed up to play in these weird boots! And I loved playing in them – I was hitting shots like I was 20 years younger! Surely your team-mates must’ve been impressed! 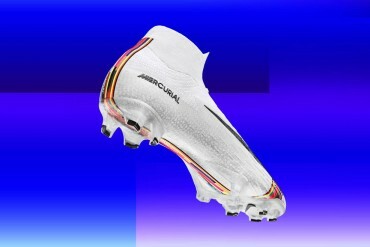 I played with an ex-Stuttgart player, he was our penalty taker, and he was saying that he had to have a try in these boots. So sure enough, I put them on him and he hit a few shots in them, and he absolutely loved them! I acquired all the necessary assets and IP’s for the product and it’s been a heck of a ride since then! 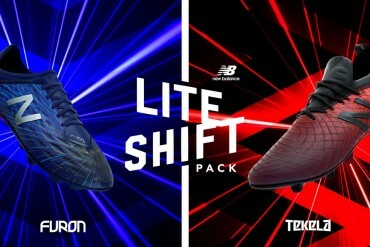 So, one of the ideas that we brought up on our site recently was “Could football boots ever give an unfair advantage?”, what would you say the chances are of innovation in football boots going too far? One of the examples you used was Formula 1 racing. Now if a team develops something to help a car go faster, to the point where you’re upsetting the laws of physics – it would have to stop. They’d step in at the point where if you’re going so fast you’ll injure yourself and others. Personally, in football boots, I think it’d have to be something in the weight of the boots that would cause the powers that be to step in. 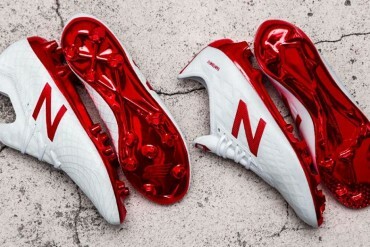 Not that there’s anything wrong with people making these boots that are ultra-light, but if they decrease the structure of the boot too much and players start getting injured, someone’s going to say that players shouldn’t wear them. Look back at ‘blades’ versus the traditional stud. We’ve got a great relationship with Manchester United because of John O’Shea, and you’ve only go to look as far as Sir Alex Ferguson, who in this case is the guy who’s stepped in and said ‘These are unsafe’ and won’t let his players wear blades any more, because, in his opinion they are technology that has come in and has proven to be unsafe. Some people on our site were suggesting that technology had already gone too far, and your PT+ in particular was singled out as it offers a more quantifiable increase in areas of the game – what would you say to them? When we talk about the numbers, you have to understand – you have to know football to get the advantage. It’s not like you can put the boots on a bad player and it will instantly make them good. And for the Pro’s who play 4 hours a day, every day – they’re going to hit the ball properly maybe 90% of the time, but our boots are going to improve their odds even more of striking that perfect spot even further. We work with a lots of clubs, coaches and managers. 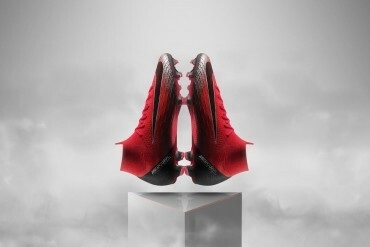 They are more interested in the safety aspect that the boot offers, with the amount of metatarsal injuries in the game. 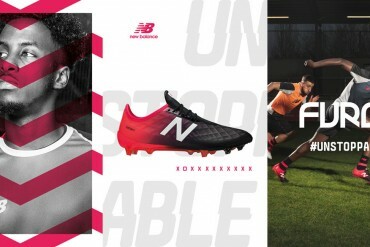 Another thing is, we’re not saying that only certain players can have these boots, or can’t play in Concaves – it’s mass availability, just like compression baselayer technology. As your football boots offer increased power upon striking, and improved accuracy, do you feel this is any different – in terms of sportsmanship – than say the newest footballs which offer similar advantages? The analogy is similar, the people who design the top-end footballs ask themselves ‘what do we want to do’, and similar to us they want to improve the level of the game. For example, growing up, watching football, I loved Pele. Watching what he could do with a football was mind-blowing. But now I’m watching football, seeing players all over the World hit these perfect 30 yard strikes, or do amazing bits of skill that only players as good as Pele could do 30 years ago. I mean my hero’s still Pele, but it’s innovation that’s raised the game to be what it is today – and that’s what makes it so great to be a fan – if you’re sat there, watching the game and someone does something that makes you stop and say ‘Wow – I’ve never seen that before’ or ‘no-one could do that 10 years ago’ then that’s innovation, that’s taking the game to it’s next level. If we can do something that brings the players and the game to another level, without increasing the danger associated with the game, then that’s our obligation. 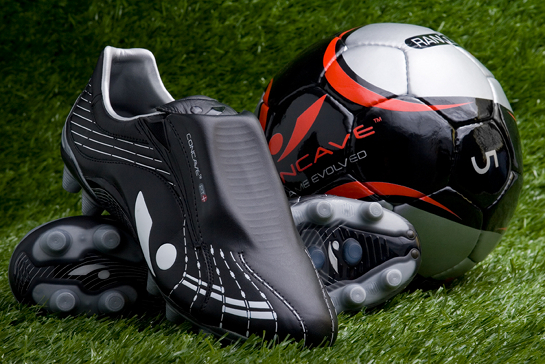 We want to say a massive thanks to Jim and the rest of the team at Concave Sports, who gave us the time for a chat! 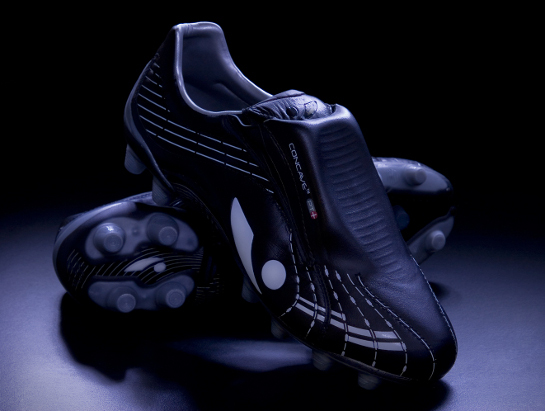 Fascinating the bit about “Motorcycle tyre hand stitched football boot prototype”. 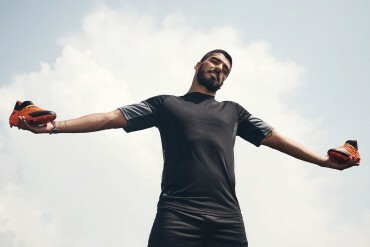 I never heard of such thing in my life, and believe having growing up playing football in Brazil you will be amazed of the things people do over hear to play the game. “cut a section out of a motorcycle tyre”. Like Craig Johnston creating the predator, he used table tennis bat rubber. 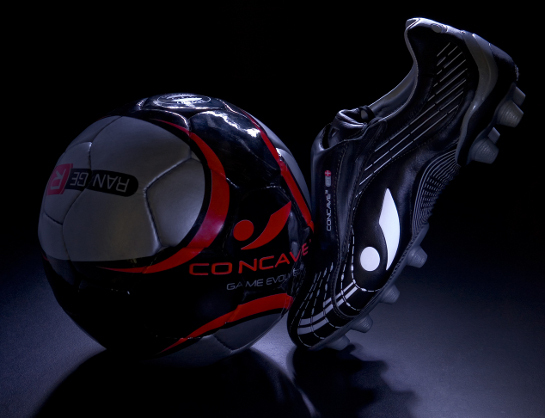 I would just love to try a pair of concaves on – it seems like everyone who tries them is instantly sold on the idea. When will Concaves be available in Australia? I don’t know, they would be absolutely perfect for AFL though. I live in Australia and just got a pair they’re considerably cheaper then any other high end boot and I can guarantee that you will hit the ball an extra 10 yards further instantly!! I would be happy to find that this company folded since they never followed thru on there promises to the youth clinics held in NC, USA.